The Bendigo International Festival of Exploratory Music’s Writers’ Workshop participants and their Partial Duration and RealTime mentors pose for the camera before once again facing the music. You can read all the reviews on Partial Durations. 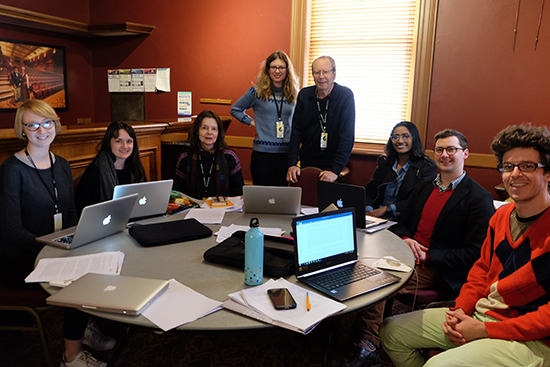 The Music Writers’ Workshop for five emerging reviewers was conducted by Matthew Lorenzon, whose blog Partial Durations is a joint project with RealTime, and Keith Gallasch and Virginia Baxter, Managing Editors of RealTime.